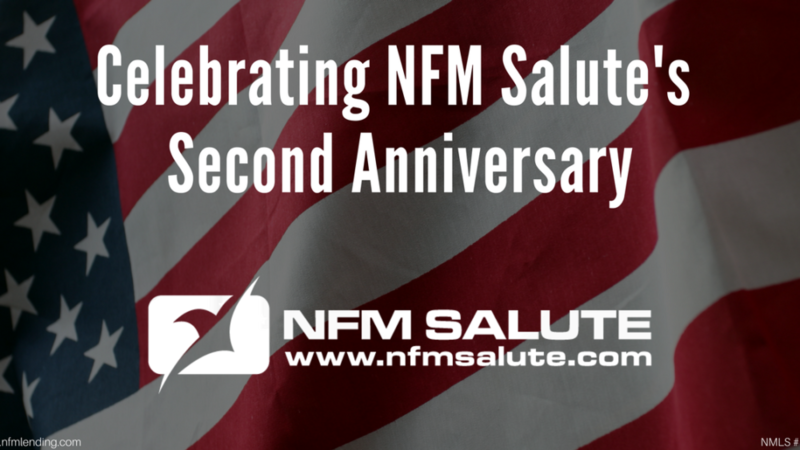 LINTHICUM, MD, March 23, 2018— NFM Lending is celebrating the two-year anniversary of its NFM Salute program. 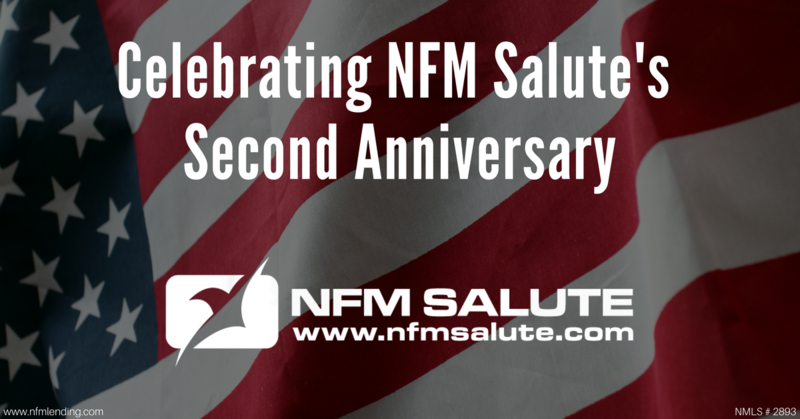 They honored their first NFM Salute on March 23, 2016. NFM Salute is an initiative dedicated to recognizing the brave men and women who have fought and continue to fight for our freedom and our country. Every month, a nominated military service member or Veteran is chosen to be honored as the “Salute of the Month.” A brief biography and information about the Salute’s service is featured on both the website and NFM Lending’s social media. The Salute receives a gift and a donation is made by NFM Lending on behalf of the monthly Salute to one of three chosen non-profits: Platoon 22, AnySoldier, or the Gary Sinise Foundation. Since the start of the NFM Salute initiative, NFM Lending has donated over $50,000 to these military focused charities. NFM Lending is thankful for the opportunity to continue honoring U.S. military service members and Veterans through the NFM Salute initiative. Nominations are always welcome. 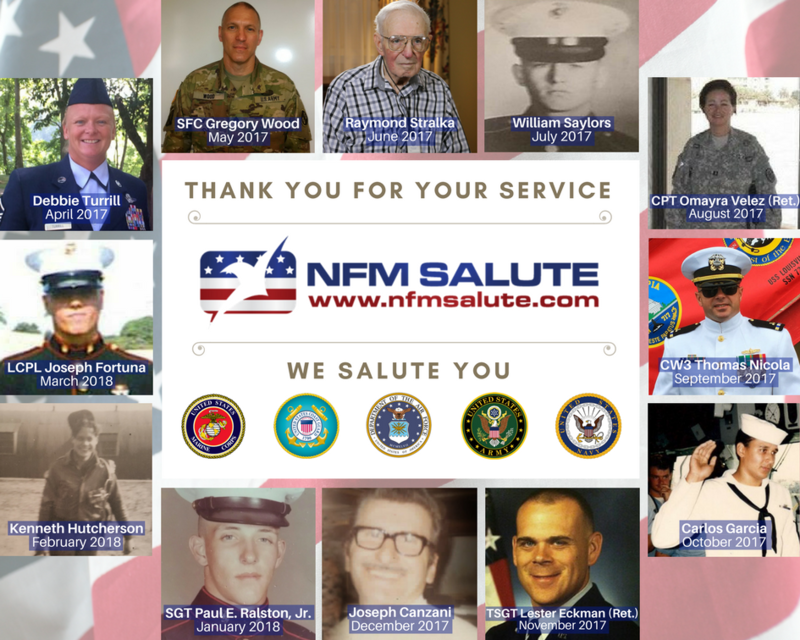 For more information about the NFM Salute initiative, to read the stories of past Salutes, or to nominate a soldier or Veteran, visit www.nfmsalute.com. NFM Salutes honored during the last year. NFM Lending is a mortgage lending company currently licensed in 29 states in the U.S. The company was founded in Baltimore, Maryland in 1998 and this year it celebrates its 20th Anniversary. They attribute their success in the mortgage industry to their steadfast commitment to customers and the community. NFM Lending has firmly planted itself in the home loan marketplace as “America’s Common Sense Residential Mortgage Lender.™” For more information about NFM Lending, visit www.nfmlending.com, like our Facebook page, or follow us on Twitter. These blogs are for informational purposes only. Make sure you understand the features associated with the loan program you choose, and that it meets your unique financial needs. Subject to Debt-to-Income and Underwriting requirements. This is not a credit decision or a commitment to lend. Eligibility is subject to completion of an application and verification of home ownership, occupancy, title, income, employment, credit, home value, collateral, and underwriting requirements. Not all programs are available in all areas. Offers may vary and are subject to change at any time without notice. Should you have any questions about the information provided, please contact us. Subscribe to get the latest articles delivered to your email!